Nintendo is partnering with Sanrio on special Animal Crossing amiibo cards in Japan. Packs will contain two random cards as well as one random seal. Sanrio characters will not be showing up in the game. Instead, players will have access to special furniture. 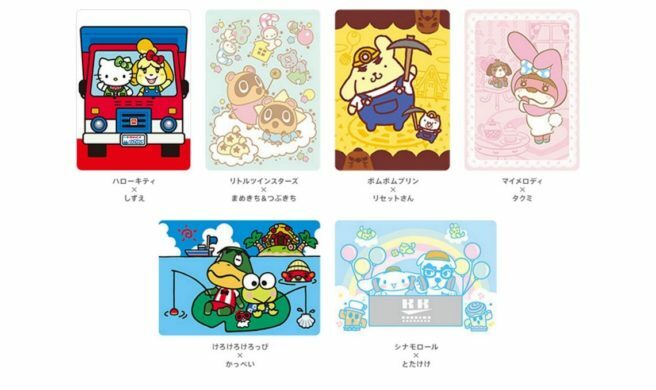 Hello Kitty, Pompompurin, Little Twin Stars, My Melody, Keroppi, and Cinnamoroll are included in the collaboration. The special seals include: Isabelle x Hello Kitty, Timmy & Tommy x Little Twin Stars, Mr. Resetti x Pompompurin, Lottie x My Melody, Kapp’n x Keroppi, and K. K. Slider x Cinnamoroll. These new Animal Crossing amiibo cards go on sale on November 3.